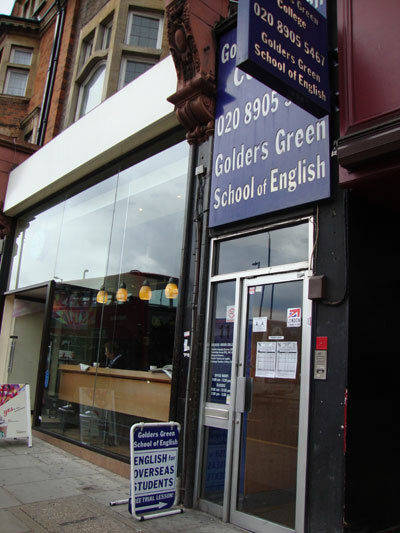 Golders Green College is situated in a safe, residential area only 20 minutes from the centre of London. 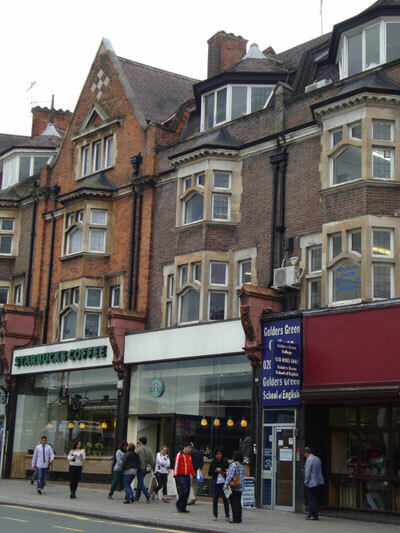 Golders Green high street has a variety of shops, restaurants and cafes from all over the world so you are never too far from your home cuisine. You can also find beautiful parks and woods close to the college such as Hampstead Heath, Parliament Hill and Golders Green Park. Here you can play tennis, football, rugby or just go for a stroll and enjoy the nature. Golders Green Library is just 5 minute’s walk down the road and next to this you can find the local gym where you can swim and work out. Enjoy great food and long walks in Golders Green. Here are a selection of restaurants. 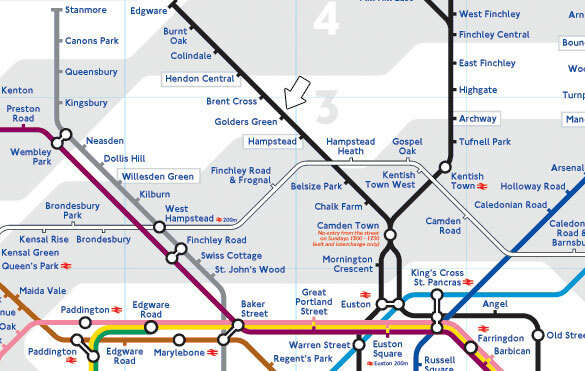 Travelling from Golders Green couldn’t be easier! 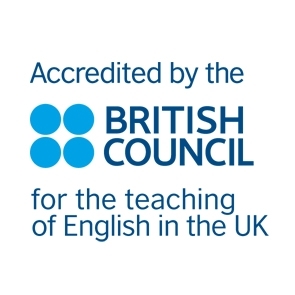 Our North London college is located opposite the underground and bus station (just one minute’s walk!) 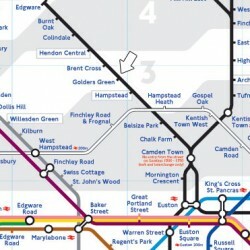 so it is very easy to get around London from here. Several buses pass the college including the 210, 183, 83, 13, 328, 102, 460 and the 268. There is a National Express Coach office and terminal just next to the college where you can purchase coach and rail tickets to cities outside of London! 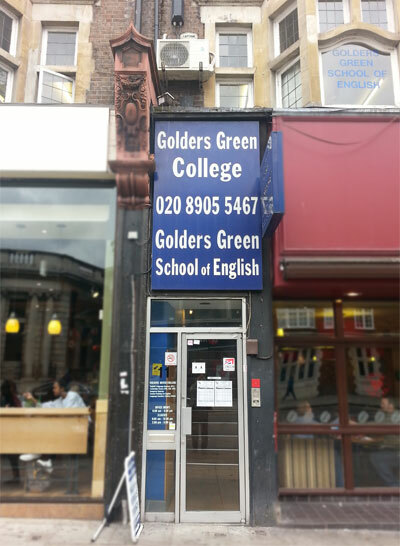 Golders Green College is no more than one hour from Heathrow, Stansted and Luton Airports. We can arrange airport transfer car services, at very reasonable rates, upon request. 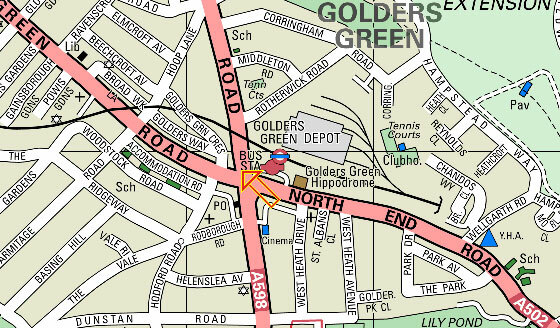 Golders Green is on the main Finchley Road (A213) heading north out of central London. 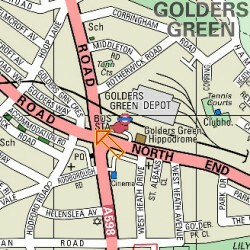 If heading north, turn left when you see Golders Green Tube Station (ahead of you, on your right). This brings you into Golders Green Road. The College is opposite Lloyds bank and next door to Starbucks Coffee shop. Take a mainline train to any central London station. Transfer to the Underground. Take the Northern Line (Edgware Branch) and get off at Golders Green Station. When you come out of the station you need to cross Finchley Road and you will see the College, next door to Starbucks Coffee shop. The journey time from central London is around 15 minutes. 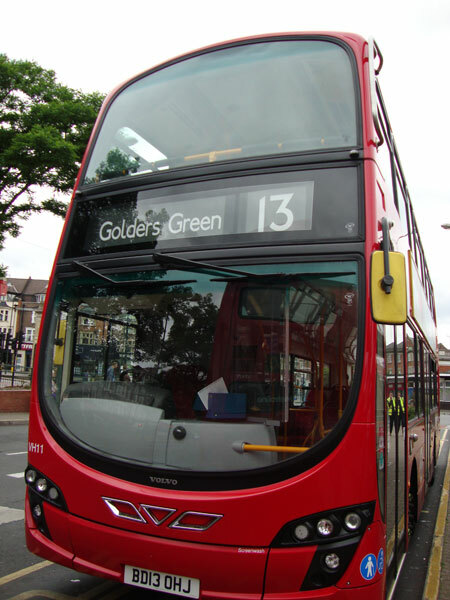 Golders Green Bus Station is the main bus and coach terminus for north London. Coaches from most major cities, and busses from all over London, stop here. The College is opposite the bus station.